When people think of threatened and endangered species, charismatic animals like tigers and giant pandas are usually top of mind. But climate change really hits home when it lands in your morning mug. Coffea arabica, the wild relative of the world’s favorite coffee, has hit the International Union for Conservation of Nature (IUCN) Red List of Threatened Species. According to a study done by scientists at England’s Royal Botanic Gardens, Kew, 60 percent of wild coffee species risk extinction. The culprits? Climate change, deforestation, pests and fungal pathogens. 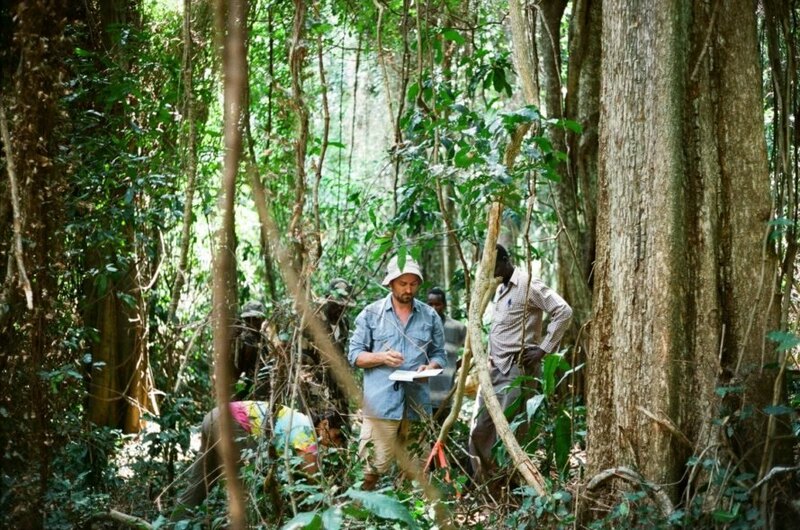 Kew scientists undertook their research in African forests and on the island of Madagascar. Their computer models predict that by the end of the century, climate change could decrease the land now used for Ethiopian coffee production by 60 percent. Ethiopia is Africa’s largest coffee exporter — the annual export value tops $1 billion — and the birthplace of Arabica coffee. The wild Arabica coffee is a vital seed stock for coffee farmers. These Arabica coffee beans from Madagascar are in danger of extinction. Dr. Aaron Davis undertaking research on Arabica coffee in South Sudan.